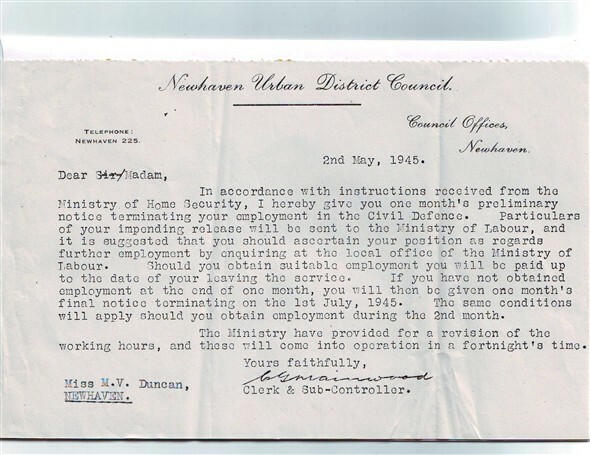 2nd May 1945. 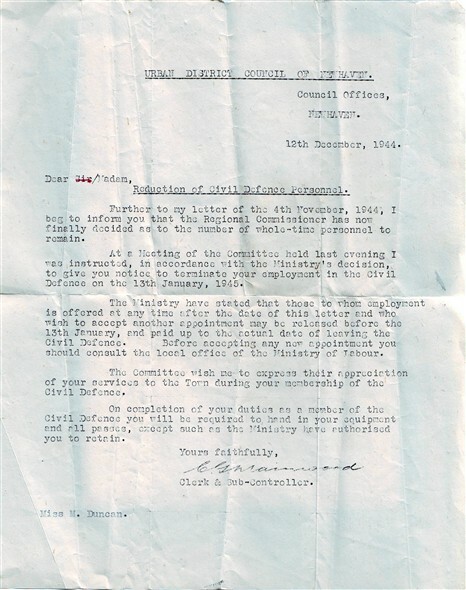 Copies of the "Notice of Termination of Service" from the Civil Defence for my Mother-in-Law, Miss M.V.Duncan. She was also a member of the Red Cross at that time, and I have the complete uniform worn by her at that time. 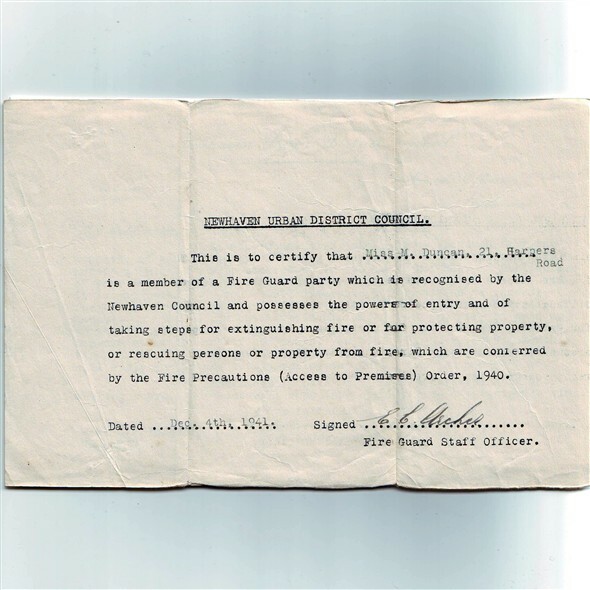 This page was added by Brian Urry on 18/03/2008.